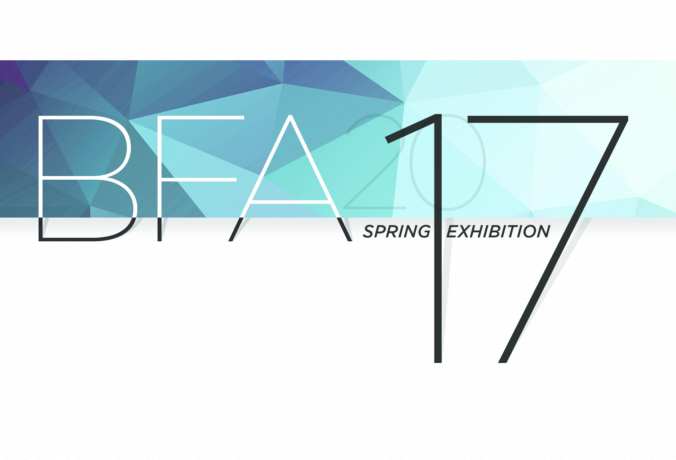 2017 Spring BFA Exhibition, featuring the works of 54 Bachelor of Fine Arts candidates in the Rust Hall Main Gallery. • The show will feature works from all artistic disciplines and fields of study at the college, including but not limited to Metals, Photography, Illustration, Sculpture, Graphic Design, Animation, Comics, and Digital Media. • Candidates in this year’s exhibition represent 13 states and 37 cities from around the South and the rest of the country. 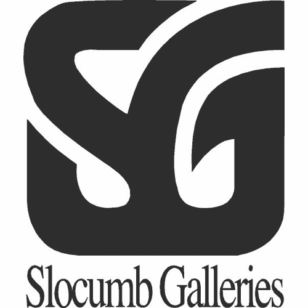 • Artists featured in the show from outside of the greater Memphis area include Elizabeth Allen of St. Louis, Missouri; Julie Bartlow of Madison, Alabama; Ashley Binkley of Gallatin, Tennessee; Richard Blum of Festus, Missouri; Lauren Bostic of Greenville, Mississippi; Melissa Brown of Atlanta, Georgia; Shoni Campbell of Nashville, Tennessee; Jeremy Clark of Olive Branch, Mississippi; Riley Curry of Gardnerville, Nevada; Leandria Edwards of Hendersonville, Tennessee; Kaleob Elkins of Southaven, Mississippi; Peri Gildersleeve of Baton Rouge, Louisiana; Shelby Green of Oakland, Tennessee; Mercedes Grockenberger of Delran, New Jersey; Wilhelmina Hill of Maryville, Tennessee; Alison Johnson of Stone Mountain, Georgia; Brennan Johnson of Baton Rouge, Louisiana; Jesse Lee of Jackson, Tennessee; Marcus Menefee of Hot Springs, Arkansas; Raquel Moore of Port St. Lucie, Florida; Paul Morquecho of Horn Lake, Mississippi; Shelby Moser of Jackson, Tennessee; Von Muren of Chesterfield, Missouri; Ishmaa’iyl Perez of Greensboro, North Carolina; Margaret Perez of Clarksville, Tennessee; Nicholas Potter of Columbia, Tennessee; Mariel Ramsey of New Orleans, Louisiana; Sarah Rhea of Vancleave, Mississippi; Samantha Seghers of Decatur, Alabama; Victoria Sisnette of Chicago, Illinois; Jessica Skinner of Philadelphia, Mississippi; David Thomas of Atoka, Tennessee; Katie Tisdale of Jackson, Tennessee; Charlena Vaughn of Louisville, Kentucky; Amber Williams of Horn Lake, Mississippi; Quantavious Worship of Tupelo, Mississippi; and Rashad Worthy of Charlotte, North Carolina. • Artists from within the greater Memphis region include Darion Beasley, Shelley Doss, Ariel Jackson, Kate Kornegay, Derikah Scott, Bethany Simmer, Taylor Touchstone, Patricia Wilson and Jabriel Woodall, all from Memphis, Tennessee; Abbey Bratcher, Julia Lasseter, and Elizabeth Ortego of Collierville; Shavonne Johnson, Mia Saine and Morgan Stephenson of Arlington; Thomas Curry of Millington; and J. Davis Tate of Lakeland. • For more information about this year’s Spring BFA Exhibition, click here. WHY: Memphis College of Art hosts two BFA Exhibitions per year, one in the spring and another in the fall, giving graduating students the opportunity to utilize their Professional Practice (P2) skills by organizing needed materials and meeting deadlines to exhibit their works in a professional gallery setting. BFA Exhibitions are the culmination of a student’s artistic study, and represent the highest caliber of work from undergraduate students. For more information about other upcoming MCA exhibitions and events, visit mca.edu. For media inquiries, contact Communications Coordinator Natalie Fleenor by email at nfleenor@mca.edu or by phone at (901) 272-5113.